Olga Kern’s 2001 win marked the first time in three decades that a female pianist won a gold medal at the prestigious Van Cliburn International Piano Competition. Kern will perform at Mary B. Galvin Recital Hall on Saturday. 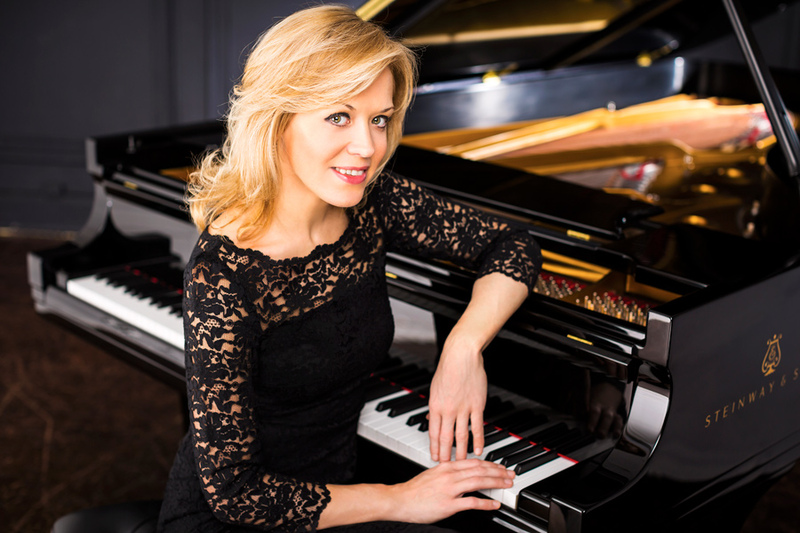 In 2001, Russian-American pianist Olga Kern was the first woman in over 30 years to win the historic Gold Medal at the prestigious Van Cliburn International Piano Competition. Eighteen years later, she’s still an icon to classical pianists all over the world. Tietz explained that the first half of her program drew from her American heritage by featuring Gershwin pieces, while the second half drew from her Russian roots with composers such as Rachmaninoff and Scriabin. However, for pianists like Bienen doctoral student Saetbyeol Kim, Kern’s performance means more than just listening to jazzy Gershwin pieces and intense Scriabin etudes. Kim added that Kern demonstrates incredible strength in her performances, proving that female musicians have the same physical and emotional power onstage as male musicians do. “She’s truly one of the best pianists in the world, and there’s an entire generation of piano fans who came to know Olga and her talent, but also her authenticity and her genuineness,” he said. Tietz mentioned that Kern has additional name recognition from being the first female winner in three decades of the Cliburn, inspiring many musicians across the globe. Kern expressed gratitude for the recognition and opportunities since her momentous Cliburn win. Tietz said he too anticipates a very positive response from the audience, as Kern has an appeal that is both musical and personal.